Day walks, cycling and Mountain biking, experience nature first hand by taking a stroll in to the indigenous woodlands. Photographic opportunities. Not only is the scenery spectacular, but the fauna and flora offer boundless variety of photographic subjects. Many hiking paths have already been established within the parks, one of which is a spectacular 39km trail linking the Tsehlanyane National Park with the Bokong Nature Reserve. Bird watching: keep an eye out for the Bearded Vulture and Ground Woodpecker. Basotho horse rides offer an ideal approach to explore nature from a higher vantage point. The Many tracks can be marveled at on pony tracks across the beautiful mountains. Swimming in the pristine streams and rock pools, one can also go canoeing in the many rivers that meander through the mountains. During the winter months skiers can enjoy the thick snow that blankets the mountains every year. Lesotho is a breathtaking tourist destination with numerous activities to make your visit memorable. The horse riding trails, cultural experiences, immaculate mountain air and clean safe streams are ideal for both the adventurous and those that simply wanting to recharge, relax and take in the landscapes. 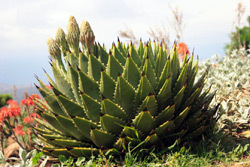 The reserves also encompass a proportion of rare mountain "fynbos" that do not occur anywhere else in the world. There is also a recorded excess of 220 flowing plant species. The exceptional diversity of habitat derived from the large altitudinal range that the parks means there is always something unique at every turn. Within the majestic mountains and the surrounding areas, there have been 24 small to medium sizes mammalian species recorded. These include the African wild cat, black-backed jackal, porcupine, caracal, grey rhebuck, baboon, striped pole cat and rock hyrax, ice rat, the clawless otter (there is circumstantial evidence that leopard still occurs in a few refuge habitats), All of these species with the exception of the clawless otter, grey rhebuck and rock hyrax are considered to be endangered in the park area. A provisional list prepared to date indicates the presence of some 69 species of birds. The list included two of the Red Data species listed above (bearded and Cape vultures), and only one (orange-breasted rock jumper) of the three southern African endemic species considered to be globally "near-threatened" because of their restricted range. It is likely that further work will considerably extend this list. Copyright © 2014 The Kingdom of Lesotho Consulate. All Right Reserved. Designed & developed by The Kingdom of Lesotho Consulate.